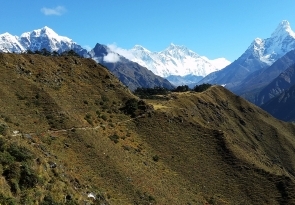 The Everest View Trek is an amazing experience. 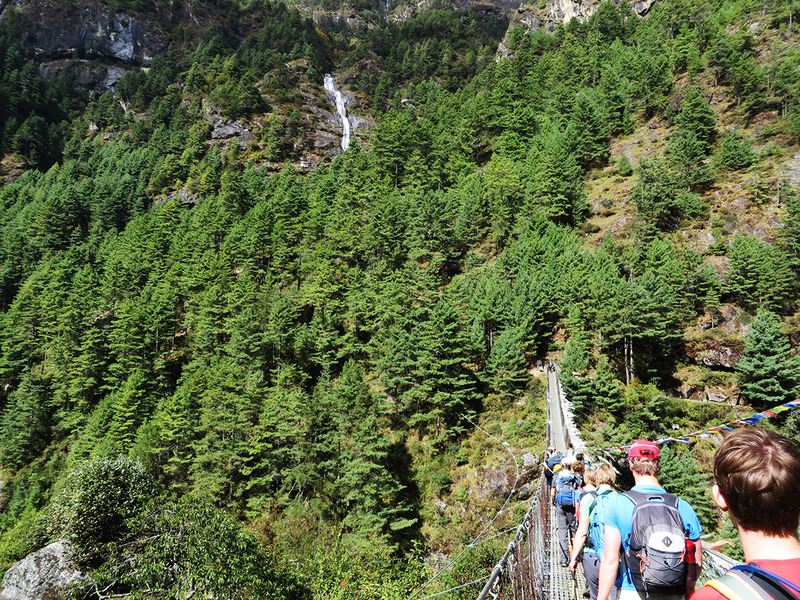 We travel the Middle Hills, following the Dudh Kosi (Milk River) into the Sagarmatha National Park where the valley walls are topped with spectacular snowy peaks and the feed waterfalls like you’ve never seen! 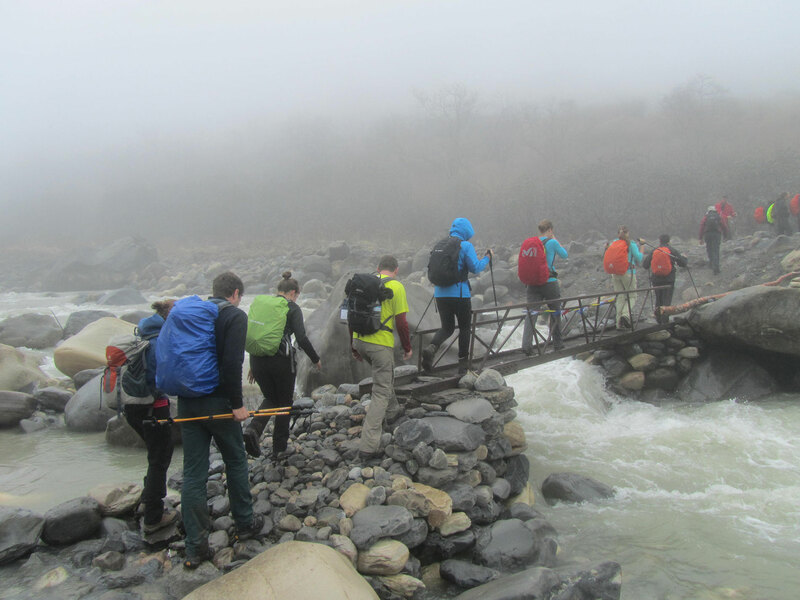 This trek takes advantage of the fantastic infrastructure that exists in this region. 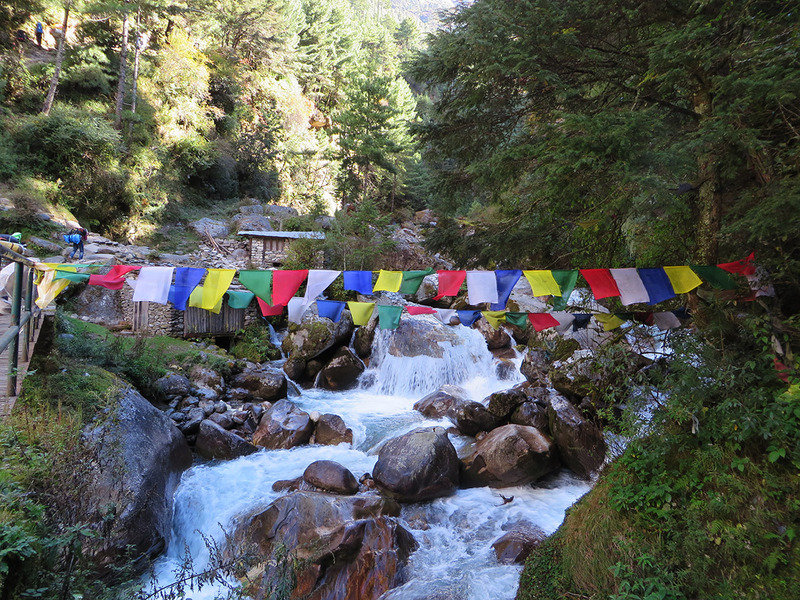 The local people have built lodges and tea houses to supplement their income from farming and yak herding. 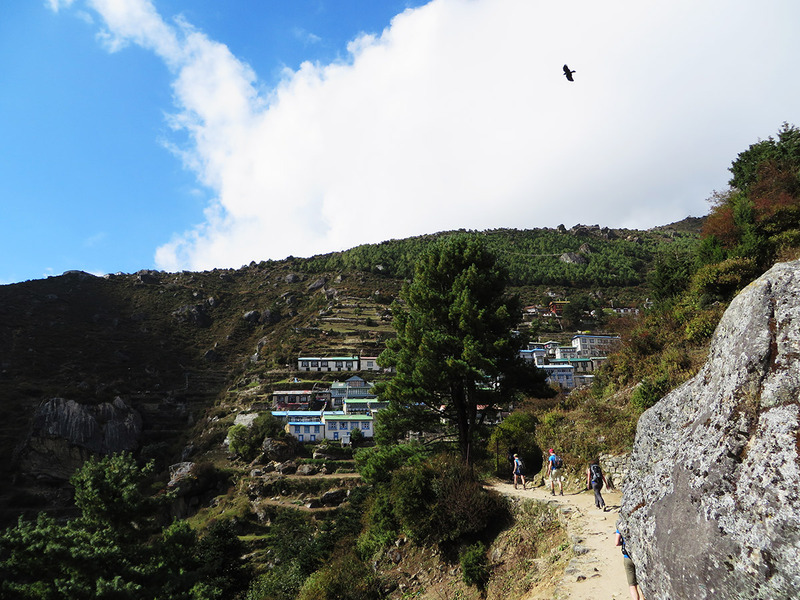 They are also planting trees, maintaining and building tracks and generally keeping things tidy in order to maintain the area’s appeal to visitors. 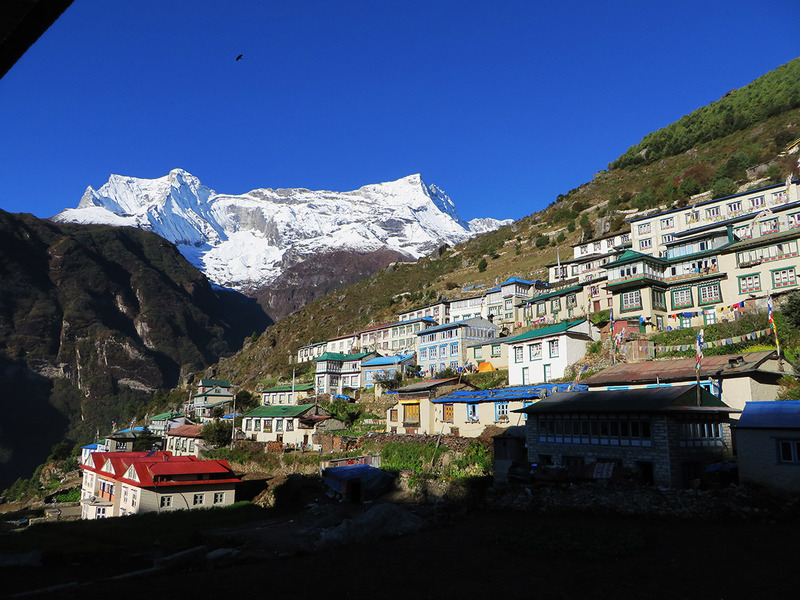 The view of Mountain, from above Namche Bazaar, is beautiful. 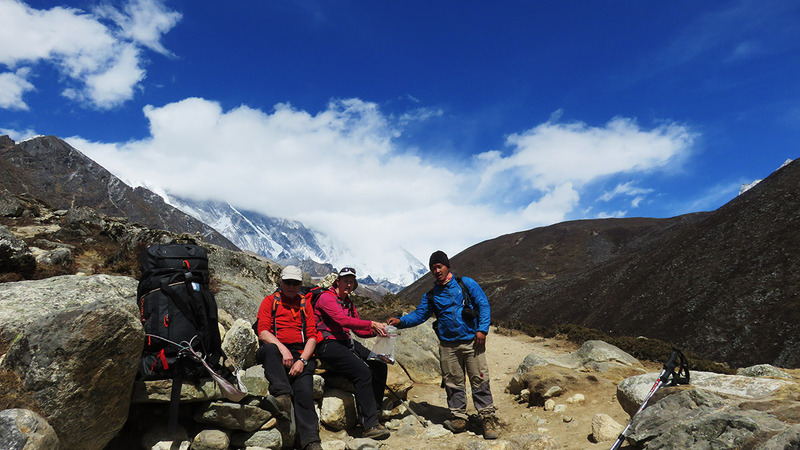 To enjoy it we walk past a little airport (Syangboiche) to reach the Everest View Hotel. 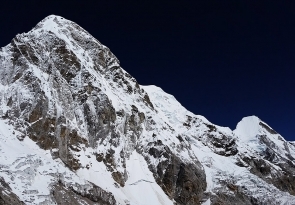 Here we can enjoy both coffee and the breathtaking scenery: Nuptse (7879m. 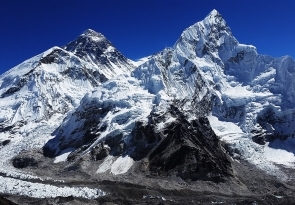 ), Lhotse (8416m.) 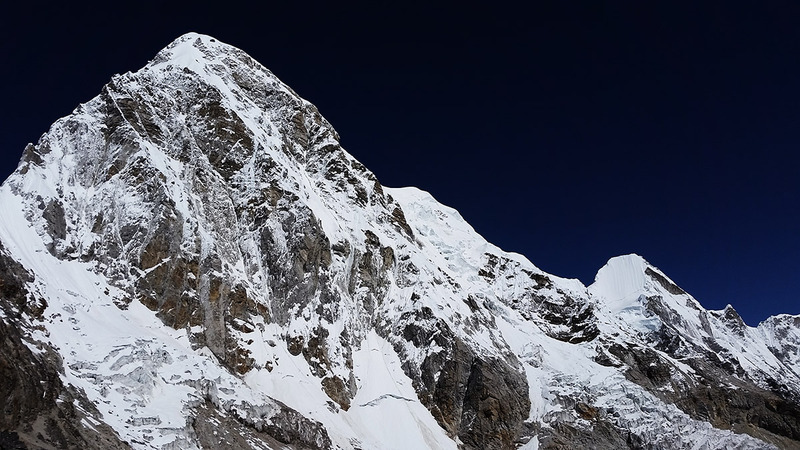 Lhotse Shar (8400m. 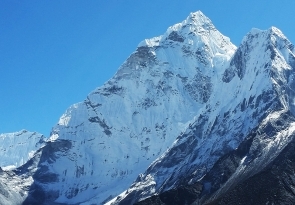 ), Ama Dablam (6812m. 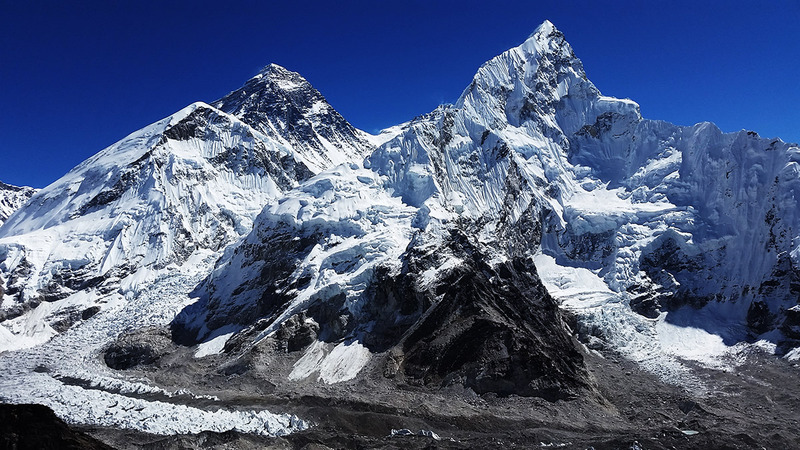 ), and, of course, Everest. 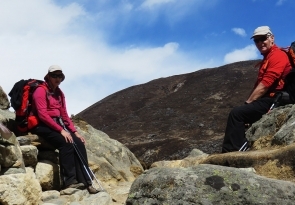 As you are trekking through the region, you will really feel yourself to be ‘on top of the world. 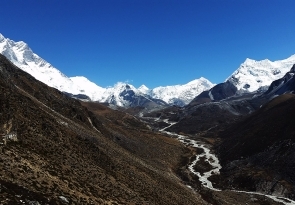 This trek is ideal for those who have less time, who just want a view of Everest. 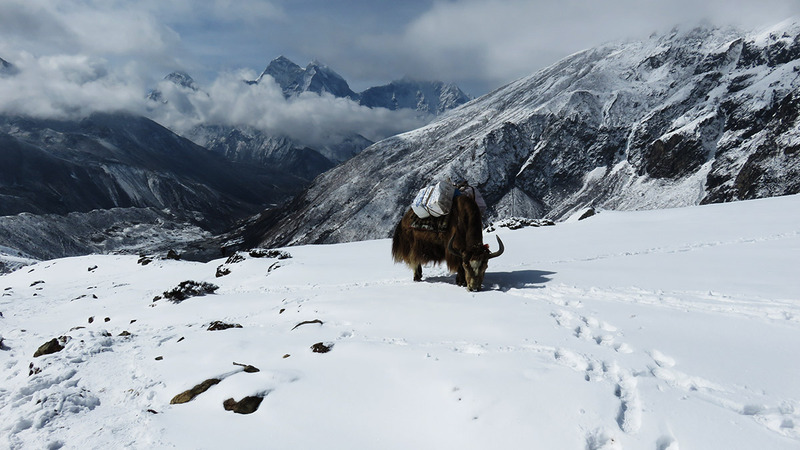 This short trekking provides a good insight into Sherpa culture without the struggle of high altitude trekking. 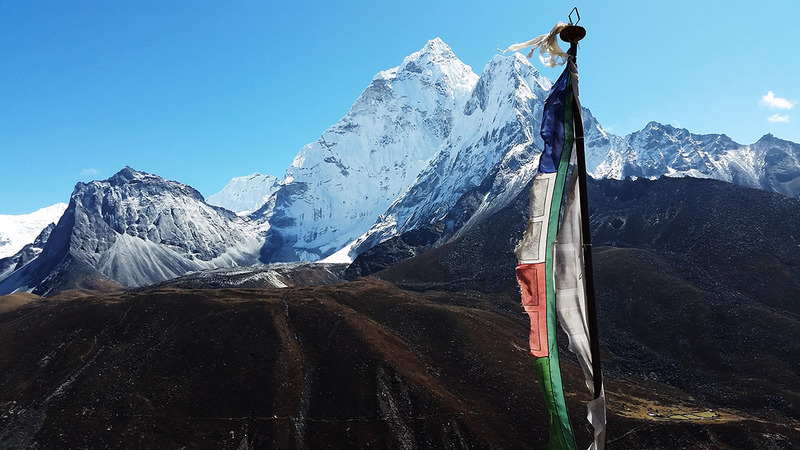 Culture:Majority of Sherpa community and their unique culture. 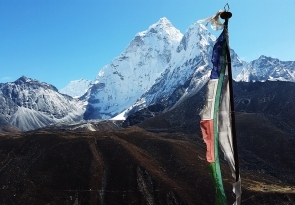 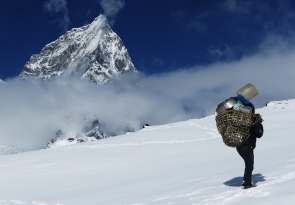 Himalayan Sights: Everest, Ama Dablam, Nutse, Lotse, Thamserku.. 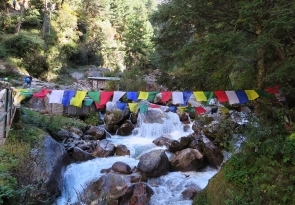 Depending on your arrival time you will have choice of visiting nearby sanctuaries or rest of the time free for leisure. 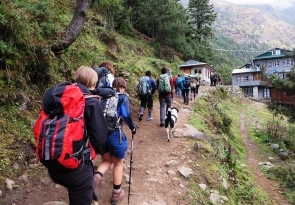 Half day sightseeing around Kathmandu, Patan city where you will have time to fascinating Buddhist and Hindu temples and shrines reflecting ancient local tradition are highlighted on my guided tour. 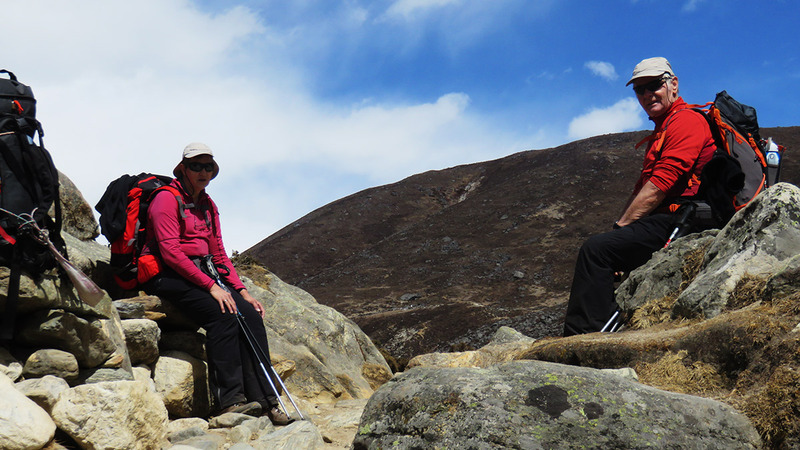 There’s time to explore the city’s many charms on your own or take a rest while I finalize trekking area permits. 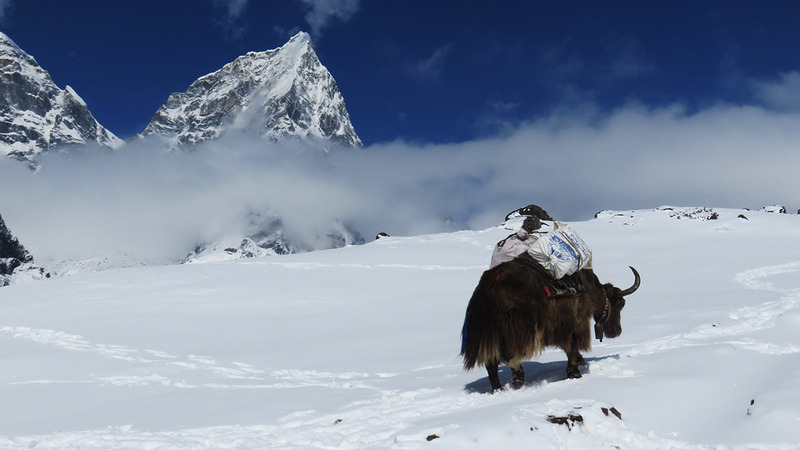 This will be another short day trek to aid acclimatization to the altitude. 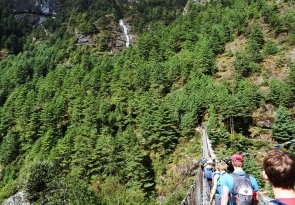 The trail climbs steeply out of valley through rhododendron forest and juniper and large conifers appear as the elevation increases making the trekking beautiful in spring. 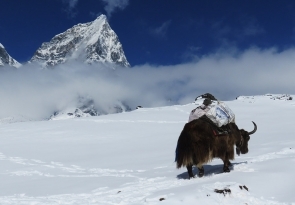 The trail passes through kharkas and summer settlements to Dole (4,200m.). 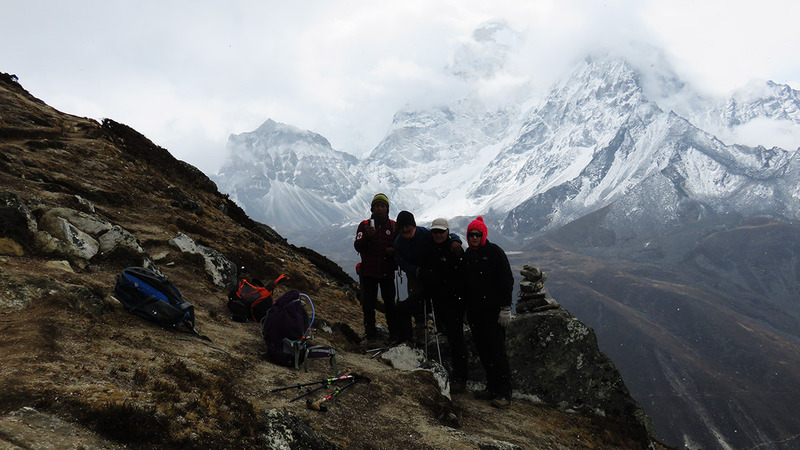 The views of Khumbi La and Tawache are magnificent throughout the day. 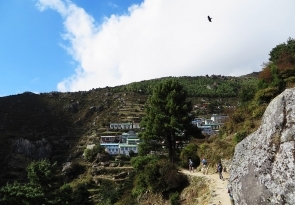 Today the trek is through steep climbs in most of the places and through kharkas where there are flat spots to reach Machhermo. 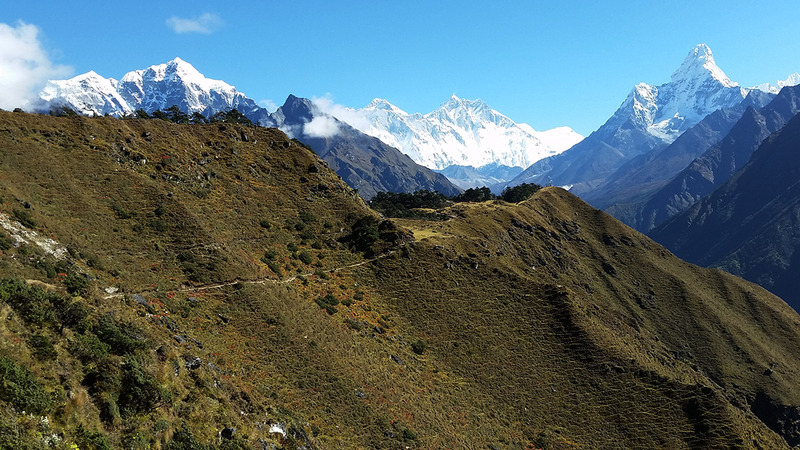 The trail climbs a ridge for an excellent view both down the valley to Kengtega and up towards Cho Oyu and descend to a river and again climbs steep to the terminal moraine of the Ngozumpz glacier. 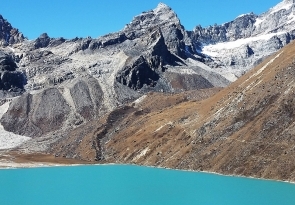 A few lakes appear on the trail and finally reach to Gokyo (4,750m. 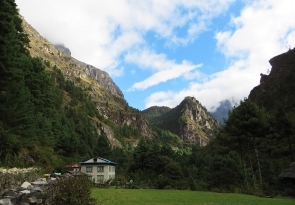 ), which is a collection of stone houses and walled pastures on the shores of large lake. 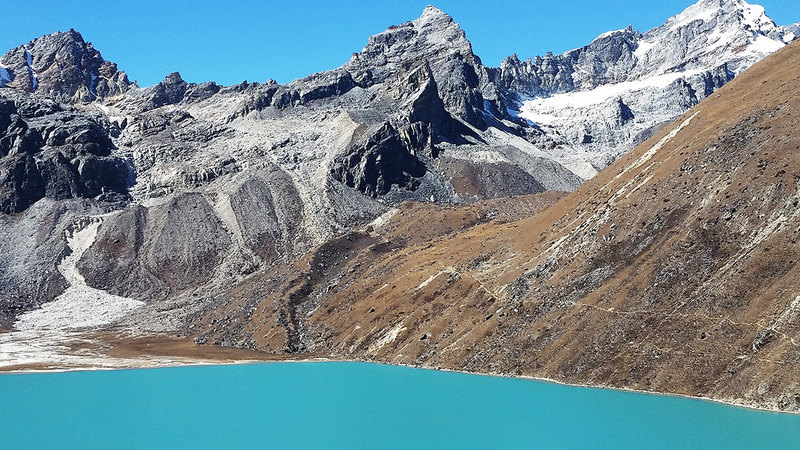 The mountain views in the Gokyo region are spectacular. 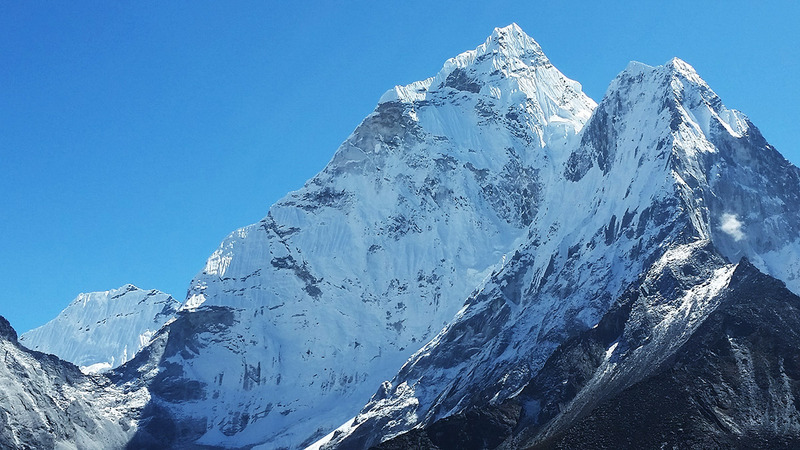 A two-hour climbing on Gokyo Ri (5350m. 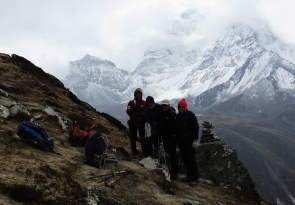 ), the small peak above the lake provides panoramic views of Cho Oyu, Gyachung Kang, Lhotse, Makalu, cholatse and Tawache. 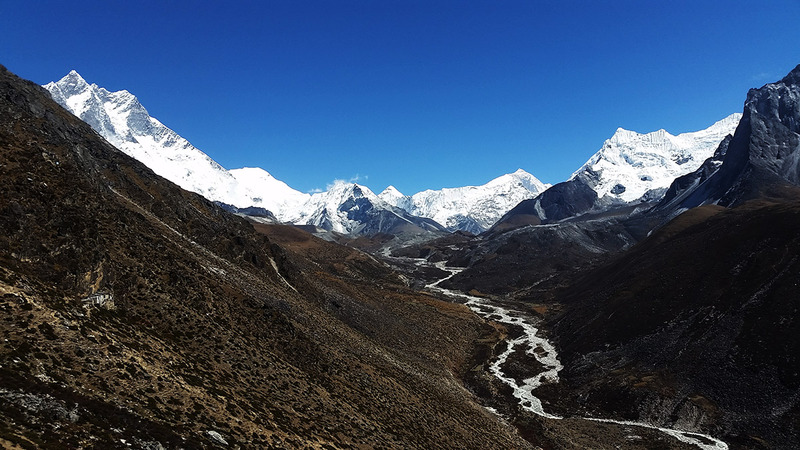 The trek descending to Namche Bazaar offers fantastic views of the great snow peaks from Everest, Nuptse, Lhotse, Ama Dablam, Thamserku and Kwangde peak. 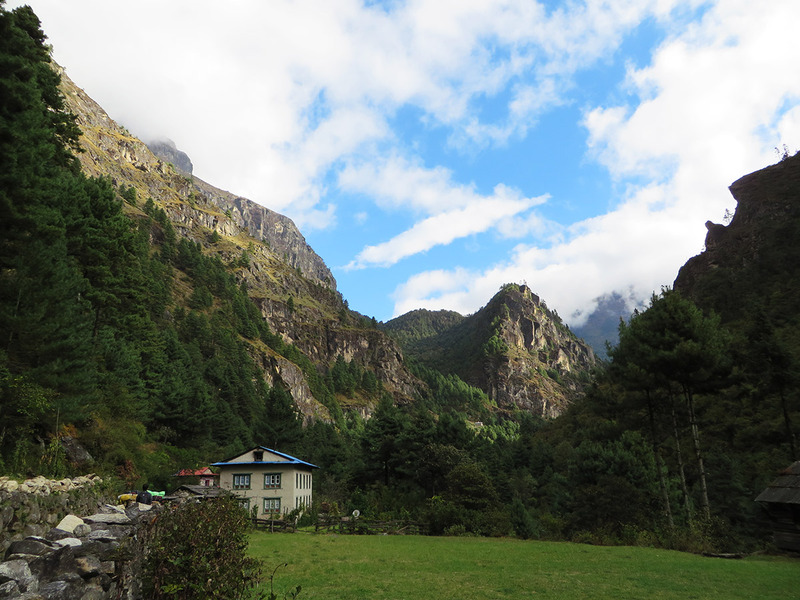 After a pleasant walk of two hours to a small place at Shanasa we will continue on to Namche. After breakfast, early morning flight to Kathmandu and leisure. 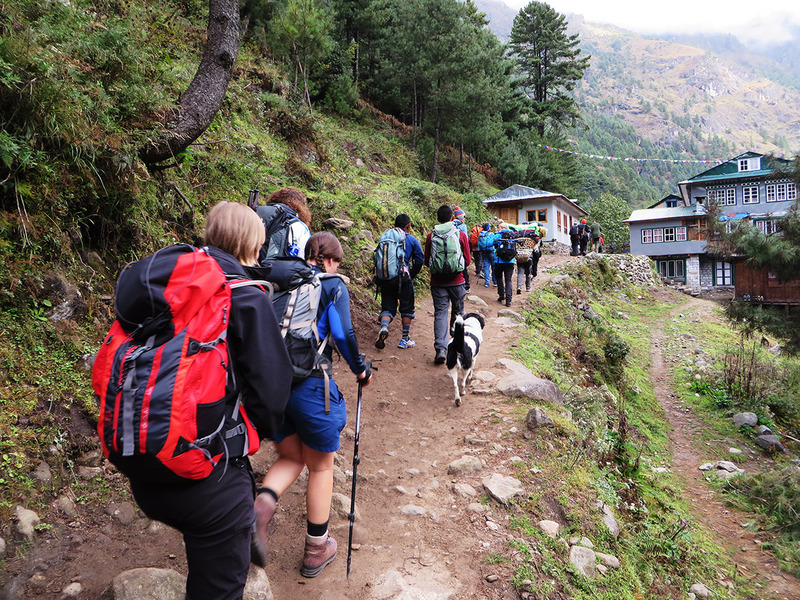 After breakfast we take off for a full-day interesting sightseeing tour of Patan, which is one of the ancient and biggest cities in Nepal, known for its beautiful handcrafted and architectural works and after a stop we go to Bhaktapur Durbar Squares which is the most famous devotee’s city of the gods and goddess. 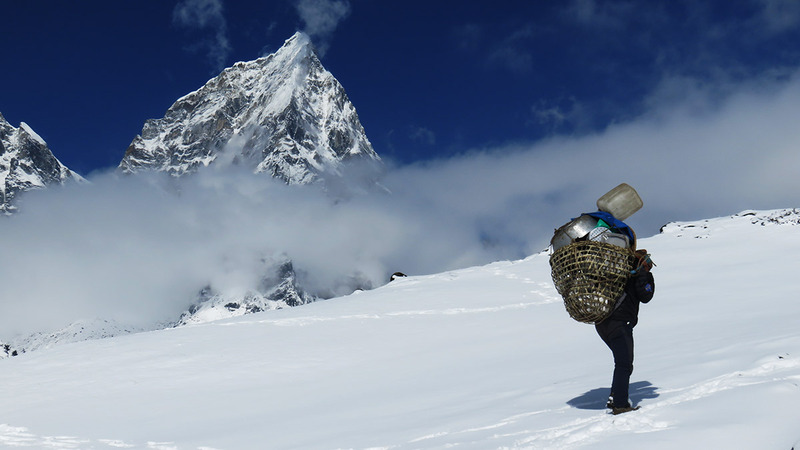 This city is exclusively rich for its own culture and traditional life.